Brown bears are found in many parts of the world, including North America, Europe, and Asia. Grizzly bears are a North American subspecies of brown bear. Grizzlies are most concentrated in Alaska and parts of Canada, but there are also small populations in the northwestern United States, and Yellowstone National Park. Grizzlies have amazing adaptations for survival. Their 4 inch long claws help them dig, and slash prey, and their muscular shoulder hump provides them with tremendous strength. Their long snouts give them a great sense of smell, which helps them find food and collect information about other bears. Grizzlies have flexible lips that extend far beyond their teeth. They use their lips to pick berries or pull apart pine cones to get to the seeds inside–a lot like we would use our fingers. Grizzly bears eat just about anything nutritious they can find. The bulk of their diet is plants, roots, tubers, grasses, nuts, and berries, but they also hunt prey such as fish, insects, deer, and even moose. Brown bears also scavenge food, eating carcasses left by other predators. Garbage left unattended or in unsecured containers attracts hungry grizzly bears, and can lead to dangerous human/bear conflict. Two grizzly bears, male “Ronan” and female “Finley,” arrived in Tucson in July of 2013 from the Flathead Indian Reservation in Montana. The orphaned 18-month-old bears had been engaging in problem behaviors in a residential area, including breaking into chicken coops and livestock feed storage areas. 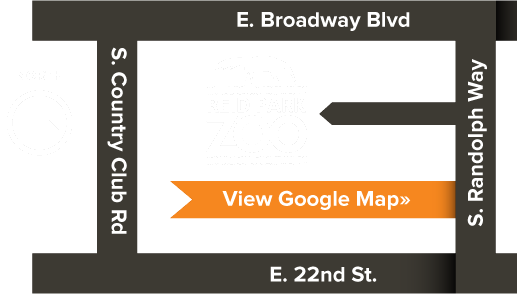 The bears had already been relocated once, so this time they were given a new, safe home at Reid Park Zoo. The relocation was a collaborative effort between Reid Park Zoo, The US Fish and Wildlife Service, Montana Department of Fish, Wildlife, and Parks, and the Confederated Salish and Kootenai Tribes. Finley checks out the stream in the exhibit. Her fur is lighter and more "grizzled" than Ronan's. Ronan is the darker bear, and has a longer snout. 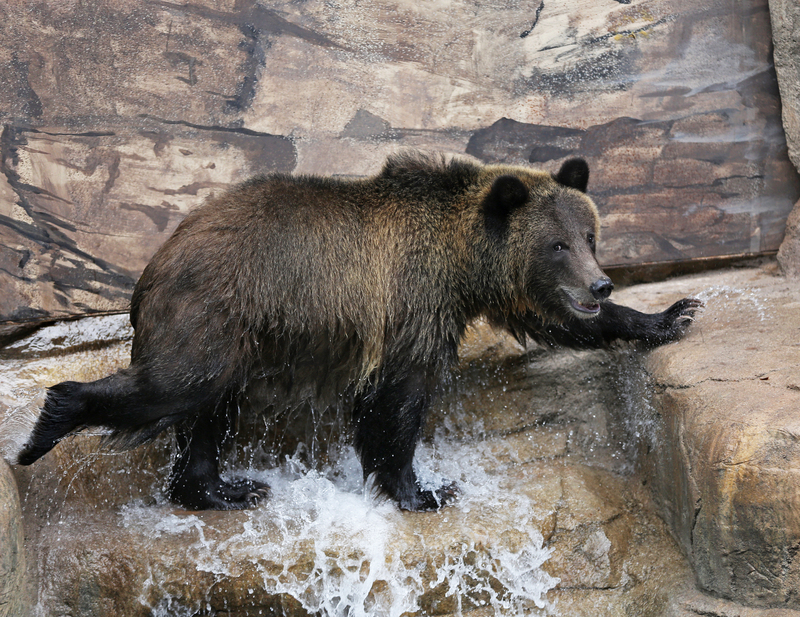 Grizzly Bear Exhibit Opens this Week!